They’ve sold 80 million records and been around for 20 years. But Coldplay’s lead singer Chris Martin, 38, still had to turn to an unlikely source to calm nerves ahead of playing the SuperBowl 50 Halftime show next weekend. He revealed that he turned to his 11-year-old daughter with Gwyneth Paltrow for advice, during an interview with CBS News on Sunday. Apple was quick to put the stakes of the most watched television broadcast of the year with an estimated audience of 110 million people, into perspective for the British singer. No doubt that would have been good advice for Drake or Leonardo DiCaprio who have previously set the internet alight with memes. The frontman has been rehearsing for the show, rumoured to also include Beyoncé, with whom he collaborated on Hymn for the Weekend recently, and Bruno Mars. The singer – who famously ‘un-coupled’ from Gwyneth after 11 years of marriage in April last year – explained that he has found it challenging to narrow down a 20 year back catalogue of music into less than thirteen minutes. The star shares Apple and nine-year-old son Moses with his ex-wife and revealed that her guest appearance on his latest album was as a result of something she said to him during their break-up. 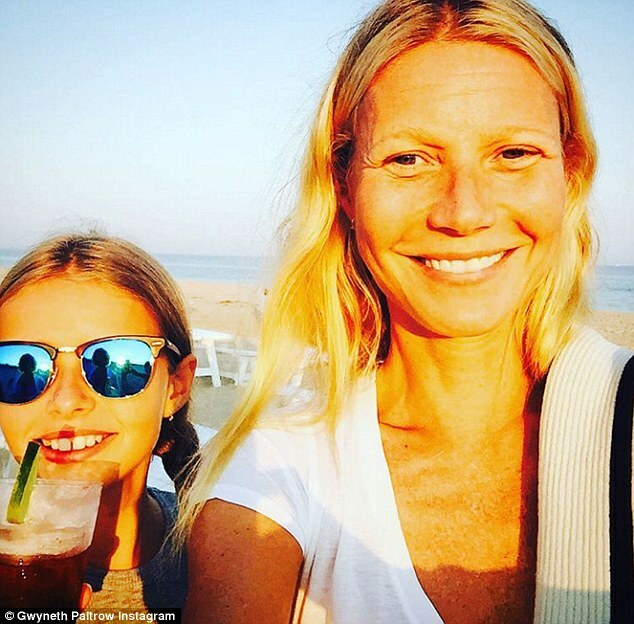 Gwyneth sings: ‘how come things move on, how come cars don’t slow, when it feels like the end of my world’, and is asked by the interviewer Anthony Mason how that came about. ‘Of her, yeah’, conceded Martin, of the Sliding Doors star whom he met at a Coldplay concert in 2002.